With the Vytal microneedling module, you can effectively treat all areas of the skin with hyaluronic acid or other meso products. 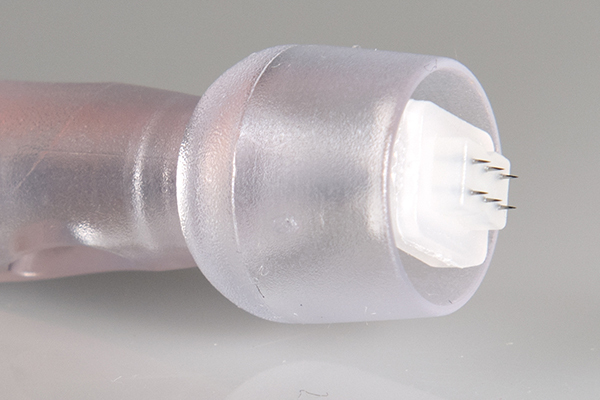 Vytal microneedling module with needle plate, with (6 x 0,3 mm) or (6 x 0.7 mm) needles. between the needles and skin is adjustable. With this state of the art module, you can stimulate, open the top layer of the skin and effectively treat individual parts of the skin. Use it together with suitable mesoskinline® cocktails or similar products. The most advanced clinical micro-needling unit on the market. Sterile disposable needle module with patented safety membrane. Suitable for treating all skin colours. With the advanced micro-needling module, you can effectively treat all areas of the skin with hyaluronic acid or with mesoskinline meso-cocktails products. The module consists of six safe micro-needles, which stimulate the top layer of the skin (epidermis) in a mild and effective manner. 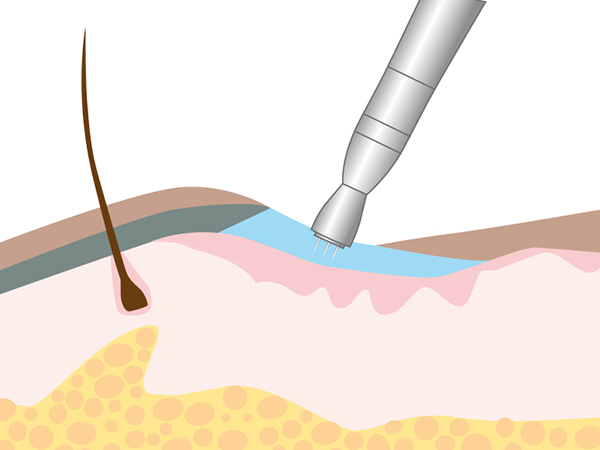 Via micro perforations in the skin, micro-needles insert the active anti-ageing ingredients (mesoskinline® meso-cocktails) creating natural and almost painless cell renewal. Cell renewal following a microneedling meso treatment leaves the skin tighter, improves its appearance and reduces wrinkles and minor imperfections. The needles create invisible microscopic holes, which activate the skin's own natural healing process, producing more collagen and elastin. This naturally increases the skin's resilience. 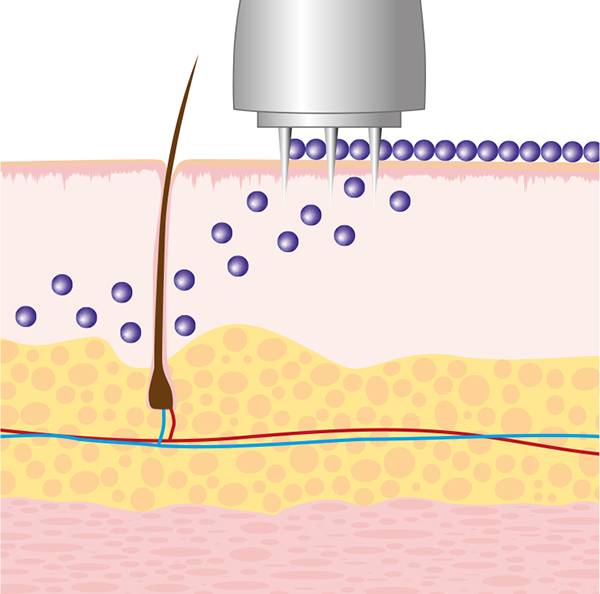 Meanwhile, mesoskinline® meso-cocktails flow into the skin during treatment, not after the treatment (unlike many other micro-needling treatments). The skin therefore absorbs all of the vitamins and amino acids from the products optimally, while renewing itself. This improves the treatment result by approx. 30%, and allows optimum absorption of the active ingredients in the right quantities and in the correct skin layers. As the skin's barrier has been opened to active anti-ageing ingredients, additional ingredients from the MESO ANTI-AGE MASK used post-treatment are absorbed more effectively.